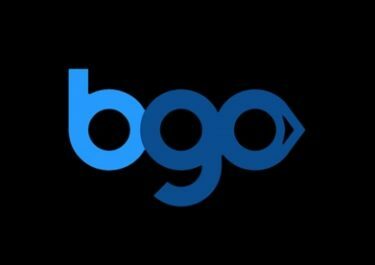 BGO Casino – Hollywood Dreams! Win a trip to L.A.! The Boss is rolling out the red carpet this February and giving players the chance to live the Hollywood Dream! The winner of the prize draw can choose between a VIP trip for two to Los Angeles or one of four luxury gift packages. All qualifying players can collect up to 200 Free Spins throughout the promotion period. To earn tickets simply wager on the selected games. Not to be missed! Not yet getting treated by the Boss? Then sign-up now and enjoy their extremely awesome £1,500 Welcome Package, starting with 20 no-deposit Free Spins and continuing with a huge 200% bonus on the first deposit and 180 Free Spins as well as three 100% bonuses for deposits two to four. Take part in the Hollywood Dreams Prize Draw at BGO and you could be jetting off to L.A. on a VIP holiday for two or alternatively choose a luxury gift package. Choices are a his or hers Louis Vuitton Luxury Travel Set, a Samsung 4K Home Entertainment Bundle or a Apple Laptop Bundle. The prize draw will be held on 2nd March 2017 and the winner contacted by phone shortly after. A £2,500 cash alternative is available. Terms and conditions apply. VIP trip to L.A. for two, including return flights from any UK airport, 4 nights in a 4* hotel, VIP helicopter city tour, VIP Universal Studios Experience and two tickets to a Hollywood Live Show. 2 tickets for wagering £10 on selected movie themed slots: Ace Ventura, Kong ‘The 8th wonder of the world”, Marilyn Monroe, Rocky, The Flintstones, Top Gun. Every player can get rewarded during the promotional period with up to 200 Free Spins on Starburst, Aloha! Cluster Pays, Drive: Multiplayer Mayhem and Pyramid: Quest for Immortality. For every 10 collected tickets BGO will credit 10 Free Spins with a maximum of 50 Free Spins per week. These are credited each Thursday by 17:00 GMT. Winnings from the spins have a 35x wagering requirement within three days. 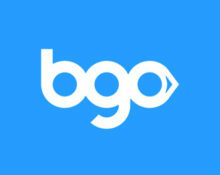 BGO bonus terms and conditions apply, read them carefully. Launched in 2012 the casino is operated by BGO Entertainment Ltd. with Alderney and UKGC licenses. The site offers a very large range of games for desktop, mobile and tablet from Netent, Bally, BGO Studios, BlueGem Gaming, Endemol Games, IGT, Microgaming, NextGen, Playtech, Quickspin and WMS. The Live Casino tables are provided by Netent.